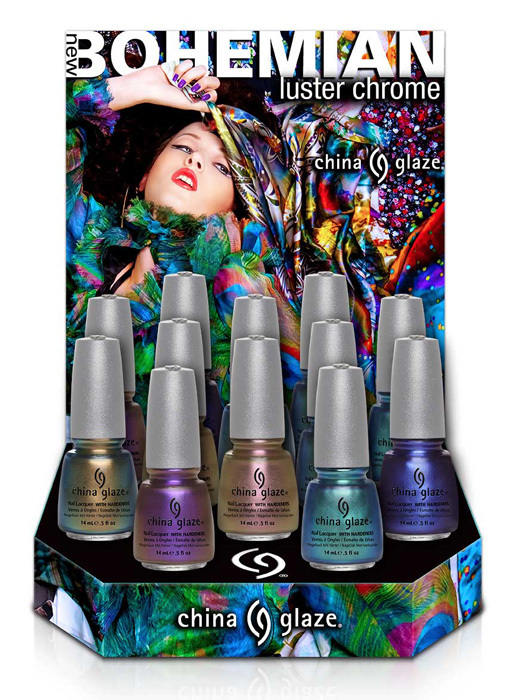 Due to launch this Autumn are six new “specialist” shades from China Glaze that promise to leave you mesmerized as the color shifts and moves across the nail, traveling with the light. Recent duochrome launches have been a bit disappointing no? I still smart from being underwhelmed by the much-hyped Models Own Beetlejuice collection which offered (to my eye), a disappointing effect on the nail compared to the bottle shots. I’m gonna be a tough cookie on these if they fail to live up to those lovely stock images below. It almost makes me excited for Autumn. I said, almost. Want all of them. Will get all of them. 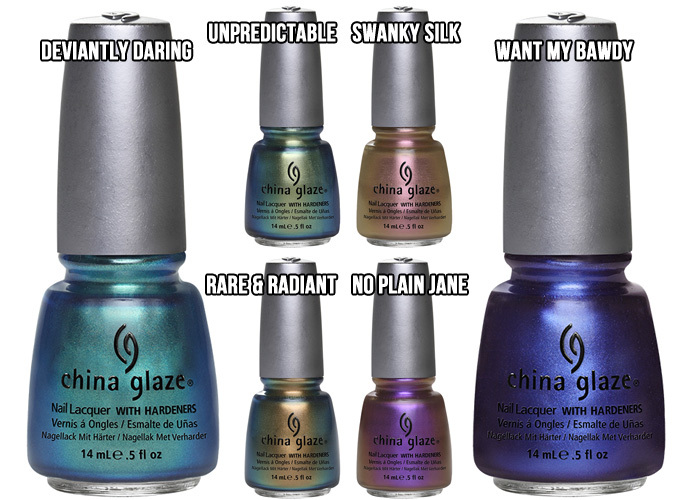 Will probably be disappointed by all of them – but I am a massive slag for China Glazes with silver lids. Silver lid normally equal awesomeness inside, but we’ll see. It looks like the duochrome in the images is subtle enough that they could deliver. Rare and Radiant looks like yet another Peridot dupe, and all of those seem to vary on the level of color shift. I’m not going to get my hopes up until I see swatches. Ohhh they are all so pretty, especially Unpredictable! Well, this isn’t going to be good for my pocketbook! I want them ALL! Looks like dupes of the Deborah Lippmann chromes plus some extras. I really want them…. Oh my giddy aunt – I want them. All of them!